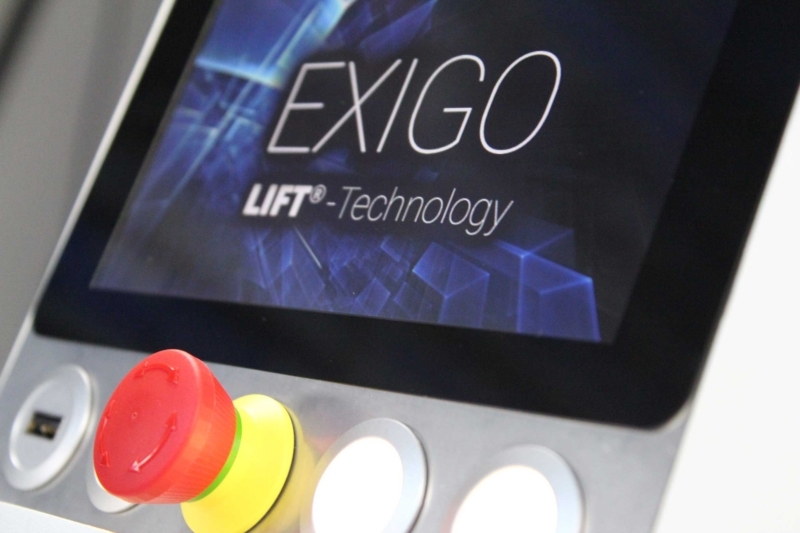 Balzers, Liechtenstein (March 17, 2017) – Coobx (http://www.coobx.com), the Liechtenstein based additive manufacturing company, today announced the launch of EXIGO with patent pending LIFT®-Technology, a 3D printing solution which changes the way how to process UV curing printing materials. LIFT®-Technology is based on different key factors, which work together as workflow in one machine and allows to print continously, process high viscous materials, infilled materials and can change the print resolution in XY automatically. Two operating modes are integrated, which allow the user to choose between true contiouos printing or semi continouos printing. In both modes the calculation of necessesary curing time, intensity and layer height is done in realtime based on the actual printed layer automatically. “LIFT® is different – Coobx is different. We are always thinking in new ways how to solve existing problems and find the most valuable solution. Putting the state of the art bottom-up printing technology on the head back to top-down was a milestone in development. Together with the LIFE Zone (oxygen inhibition) it is an unbeatable team. 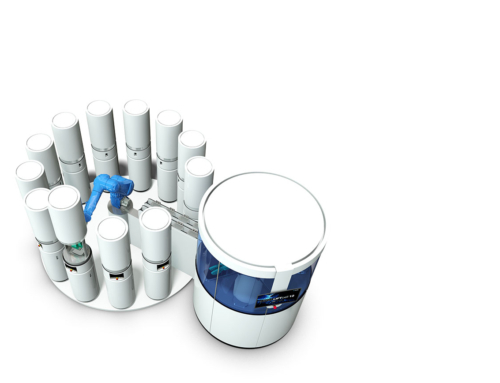 Easy to handle, highly accurate and groundbreaking new material possibilites concerning viscosity and infill grade are possible.”said Marco Schmid, Coobx CEO and head of R&D. Together with material partners and suppliers Coobx developped and optimised fully functional, FEM calculable and lasting resins. To ensure a qualified process, all steps from Pre-Processing, Printing to Post-Processing are coordinated and matched together in one workflow, out of one hand. Achieving new dimensions in versatility, accuracy and speed, the EXIGO is now availale in two versions for medical or industrial use. The core data correspond each other, the main difference is the build height of 110mm for medical and 340mm for industrial machine. Sneak preview to next steps: The EXIGO is designed to be ready for Industry 4.0. All interfaces and mechanical design for a true Industry 4.0 are given and open new possibilities. The flexible production line LiftCell® will be officially launched in Q3/2017. Small footprint, safe operation, high output. The Art of Additive Manufacturing.